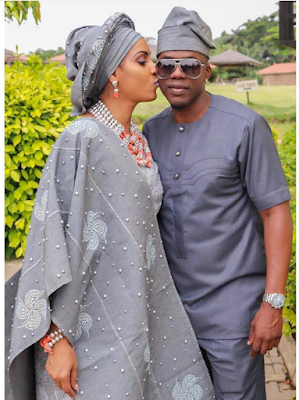 Iceberg Slim opens up on relationship with Juliet Ibrahim - “I have found what I’m looking for in the woman I have! Iceberg Slim, born Olusegun Olowokere is a US-born and bred Nigerian rapper who has collaborated with the top names in both Nigerian and the US music scene. He was recently courted by the media in both Nigeria and Ghana when the delectable Ghanaian actress, Juliet Ibrahim, revealed that it is the rapper that holds the key to her heart. Though Iceberg hates to talk about his romance with Juliet Ibrahim, but there’s enough hint that he may be seriously in love with the Ghanaian star. Reacting to rumours that he is exploiting Juliet Ibrahim’s fame to rise to stardom. He said I’ve never heard such, and besides, there will always be rumours when you’re in any form of spotlight. I’d never exploit anyone, for any type of gain. That would be extremely selfish and immoral. Such behavior goes against my code of ethics. Oh where he is in the Nigerian Music Industry he says... I’m not comfortable with where I am in the Nigerian music industry, but I am content because I know God has a bigger and better plan. I’m working on God’s time, not man’s. I didn’t practice Criminal Justice because I had a huge battle within myself. The tussle was between Goals vs Dreams…Career vs Passion. After 2 years, I left the University where I was studying Criminal Justice, to enroll myself in a music school, to study Audio Engineering and Production. It was definitely a tough decision. Words can’t describe the feeling. It’s like literally losing a part of your body, you can never be the same or whole again. The day that I recorded “Oluwa” was the last day that I had spoken to her, before she passed away. She had always encouraged me to make songs embracing my faith and background, from the church.